Kumar has been creating awareness about computer literacy and basic cyber security practice in rural schools. Manoranjan Kumar, CIO of Shree Cement is renowned for his track record of marking business innovation with Information Technology. He comes with a total of 25 years of experience, in which last 10 years has concluded as IT head and CIO with various organizations. Kumar joined Shree Cements in 2013, where he is responsible for all IT operations, IT security and IT infrastructure management at corporate office, plant, regional and marketing offices group wide. Prior to that, he was CIO at Kanoria Chemicals & Industries , where he was responsible for ERP implementation for their Ethiopia Denim manufacturing plant at Africa, and was also responsible for IT management, IT security and SAP ERP management at Delhi. Before that, he worked as IT Head at Lanco Group for five years. At Lanco, his achievements were implementing SAP in all power, real estate, construction and EPC business verticals. He connected all group companies over MPLS for voice, SAP and video conferencing. He also developed and implemented IT policies and procedures. His main focus was aligning core business process with IT Infrastructure for centralized information system for top management and providing latest IT solution to users to perform their day to day business activities with ease. He started as systems executive at IAAI, Indira Gandhi International Airport in 1987. His job was to ensure that all flight landing, parking and take-off data are captured and entered in the system for the billing purpose to all the airlines. He has also played a role of GM – IT at Kanoria Chemicals & Industries, followed by working as divisional manager for Samtel Color Ltd, and then as Manager – Systems at Rockwell Automation. He has also worked as Manager – Systems at Dalmia Industries, where he was taking care of software development and infrastructure management. At Dalmia, he developed ERP for the entire group and factory. He has done certification of Aligning IT strategies with Business from Indian School of Business. Kumar holds the degree of Master of Science in computer science from Pt. Ravishankar University, and MBA, MIS and Computer Sciences from XLRI Jamshedpur. Kumar implemented Integrated Logistics Management System (ILMS) at Shree cements, because there was visible turns around cycle delay from vehicle enter to carry/ drop material within the plant to go out from the plant. There was a data integrity issue due to manual process. There was need to automate the entire system. Kumar automated the whole process at Shree Cements, which resulted in a lot of time and cost saving. For instance, document verification and issuing token was taking around 30 minutes for each vehicle. Once the vehicle was registered and RFID tag was fixed, next time this is not required as system recognize the vehicle through RFID tag. 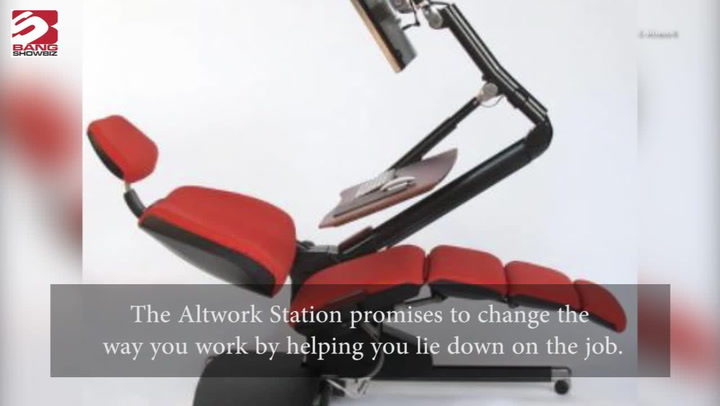 Infact, due to automation, the company saved manpower of 133 heads. Also, due to manual weighment process, each vehicle was taking 10-15 minutes. Due to automation the time reduced to 10-20 second. Kumar is now bringing new initiatives through IT at the company, like installation of FTTH (Fiber to Home) for Shree Cement’s upcoming 1000-house employee township near company’s RAS plant. He is also implementing Business Intelligence (BI) and Business Dashboard for the group, along with mobile application for marketing and logistics department. In the way forward, Kumar is also planning to implement big data for the business use. With his wide spectrum of knowledge and IT implementation experience, Kumar boasts of his hands on experience in three full life cycles greenfield SAP implementation as project head with all major modules of ERP for a manufacturing, EPC and Infrastructure company, track record for completing timelines based project along with having good knowledge of advanced IT technical environments and Data security standards. 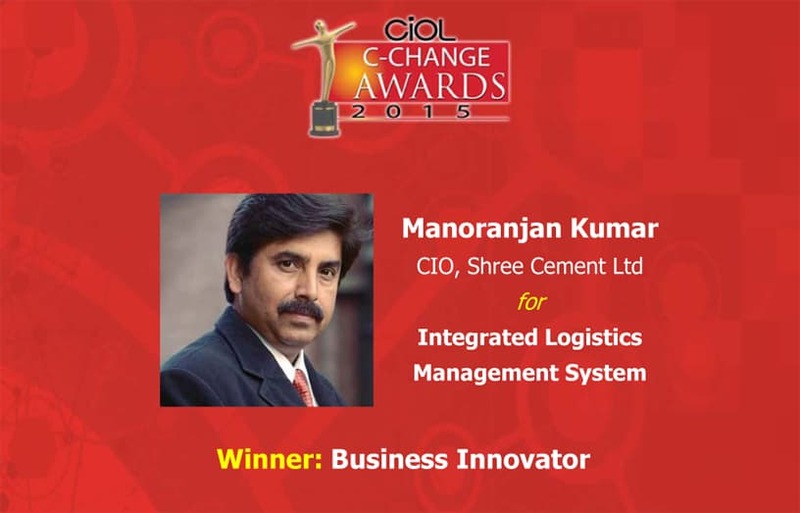 Owing to the same, he has bagged multiple awards including a recent award of ‘Business Innovator’ for CIOL C-Change Awards 2015 at C-Change 2015. Apart from this, he has also won ‘CIO of the Year 2015’ award presented by BSE (Bombay StockExchange) and CIO Klub-Mumbai in April 2015. Apart from industry contribution, Kumar has been creating awareness about computer literacy and basic cyber security practice in rural schools, so the children should start understand the threat of virus, spam and basic personal data protection.